How much is a creative writer worth? The facts are harsh. Writers are like job seekers paying a potential employer to review a job application. We’re a class of professionals who will work eighty hours in a month merely for recognition. Writers produce the content that drives a market dominated by a handful of large magazines, huge publishing houses, a very few e-marketers and an entertainment industry. But the cold reality is that content on the whole is the least valued part of the whole business. Many of us might envy farmers who get paid seven cents of the three dollars paid for a loaf of bread, not because it is a fair amount, but because a whole lot more people buy bread than books or magazines. When the Justice Department filed suit against Apple and a number of major publishing houses, few asked how the action would impact writers. With royalties based on some percentage of retail or electronic pricing, there is a logical assumption that writers benefit from higher prices electronically. Typical royalty agreements pay a majority of writers 8 â€“ 12% of net for mass market paperback books and 10% list price for electronic books. So assuming a 10% royalty, if one of my titles sells 500 copies paperback at $15 retail ($8.24 net) and 500 electronic copies with a $7.99 list price, my royalty payment would be approximately $800. If that number is exciting, it’s important to know that the average U.S. traditionally published titles sells about 250 copies. Assuming all the copies sold are paperback, calculate the royalty, then return to the question: How much is a creative writer worth? It’s hard for a new writer to crack the best seller list and make the rock star bucks of writers like James Patterson, Stephenie Meyer or Stephen King. Not one of the top selling writers in 2010 wrote contemporary fiction. All are genre writers. Year after year the list remains relatively intact, dominated by what the American public likes to read: mystery, horror, romance and sci fi writers. It isn’t royalties that earn these writers millions of dollars, but the combination of royalties plus selling rights to production houses and speakers’ fees and such. Jumping into electronic self-publishing is appealing. One friend recently sold thousands of a genre work and is earning nice return with minimal monetary investment. Reality knocks with the experience of two others who have sold less than one hundred e-books between them. 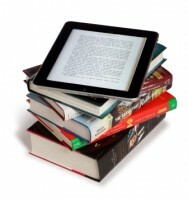 Drawing readers to a self-published e-book can poses the same challenges as attracting readers to a new blog. Competitors number in the hundreds of thousands. Maybe selling short stories will supplement the rent check. Unfortunately, the majority of literary publications pay in copies or recognition only. Scales at those that pay writers range from one cent per word to five cents per word. So a 5,000 word story might earn a writer a publication credit in their accomplishments, or a few copies of the magazine, or $50 to $250. Some say literary magazines have become part of academic inner circle where college writing teachers fight for tenure and promotion by grabbing space in each other’s publications. By the way, many literary magazines charge reading fees of three to fifteen dollars per submission. The fees help magazines pay the staff necessary to plow through the flood of electronic submissions received monthly during open reading times.